Removal of gutters and downpipes. Strip off fascias, soffits and bargeboards. Rafter feet lined with 12mm external grade ply. Bottom edge of roofing felt renewed. 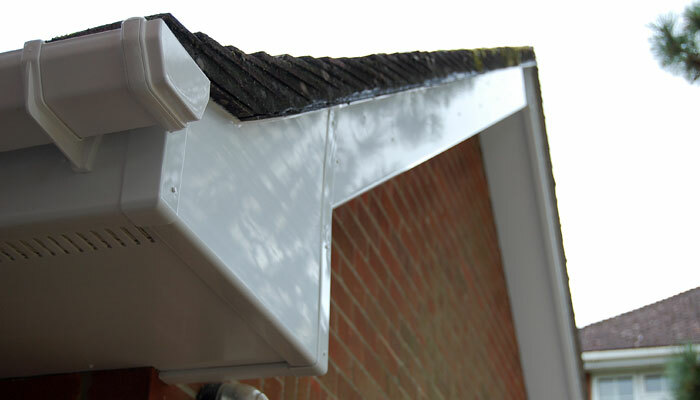 Supply and fit UPVC fascias, soffits and bargeboards with or without soffit venting OR if required, over fascias venting. Supply and fit guttering and downpipes, supplied and fitted in your choice of profiles and colours. Removal of rubbish from site.